Have you ever needed to share code between different branches? More specifically across Pull Requests? One option would be, if changes are simple, copy changes by hand. A better way would be saving a patch/diff file and applying it in the other branch. The problem is that it won’t retain commits ownership. 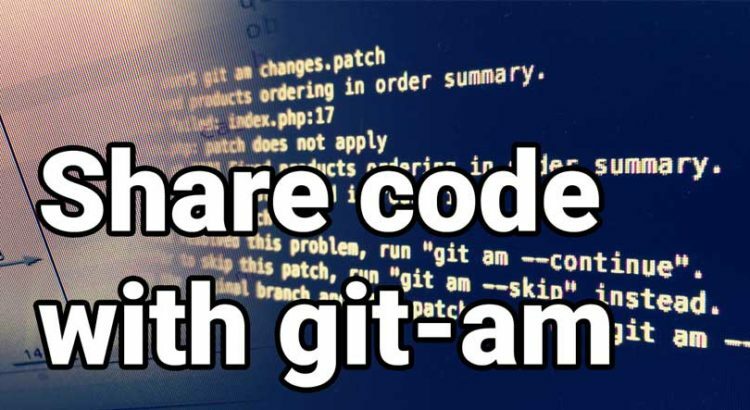 What if we have errors during git-am..? It’s likely that CONFLICTS will happen that we’ll be able to resolve with git mergetool. Article inspired by send a patch to someone… and when git-am fails. And this question and this another one.